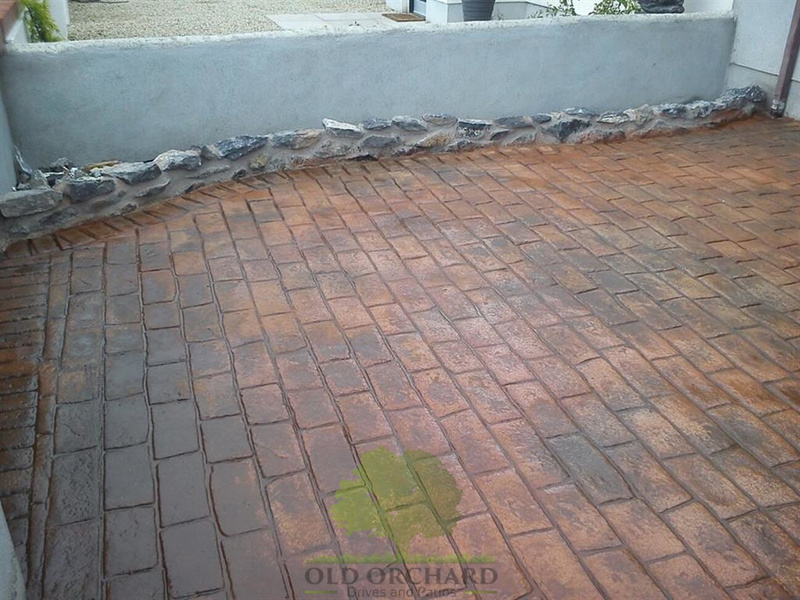 Get a free quote today on installing an imprinted concrete driveway or patio in Co. Kildare. We provide a range of imprint concrete options that range in finish, pattern and colouring. Imprint concrete is still at its core a concrete base which means it is durable, suitable for all types of vehicles and is very versatile. 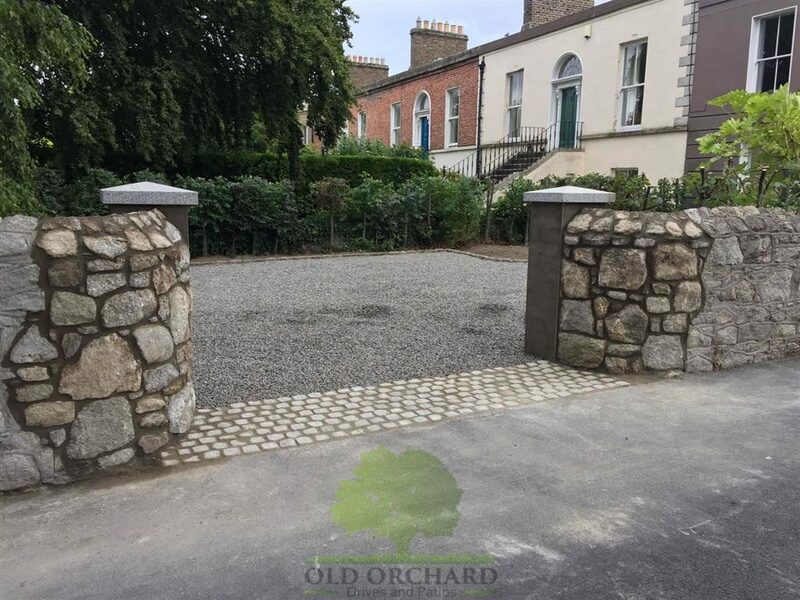 It can be shaped, designed and laid to suit any type of home, driveway or garden area in Kildare. 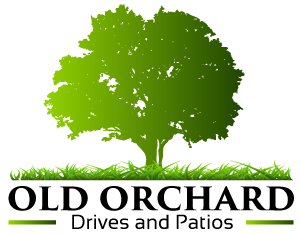 All the imprint concrete installations carried out by us, is covered by a 5 year guarantee. The work itself is done to rigorous standards. We will only install imprint concrete surfaces when the weather permits and it can cure and hold its finish. 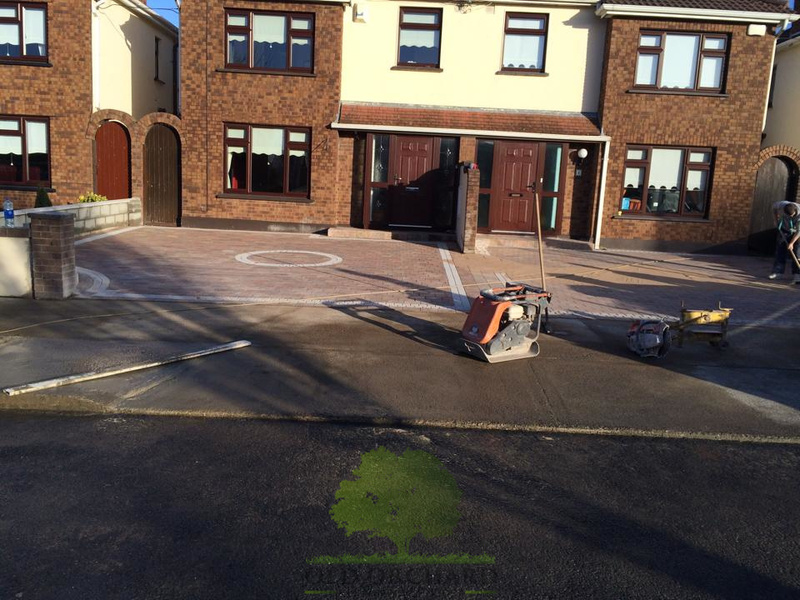 Having the right imprint contractor can guarantee you a long lasting imprint finish on your concrete driveway in Kildare. 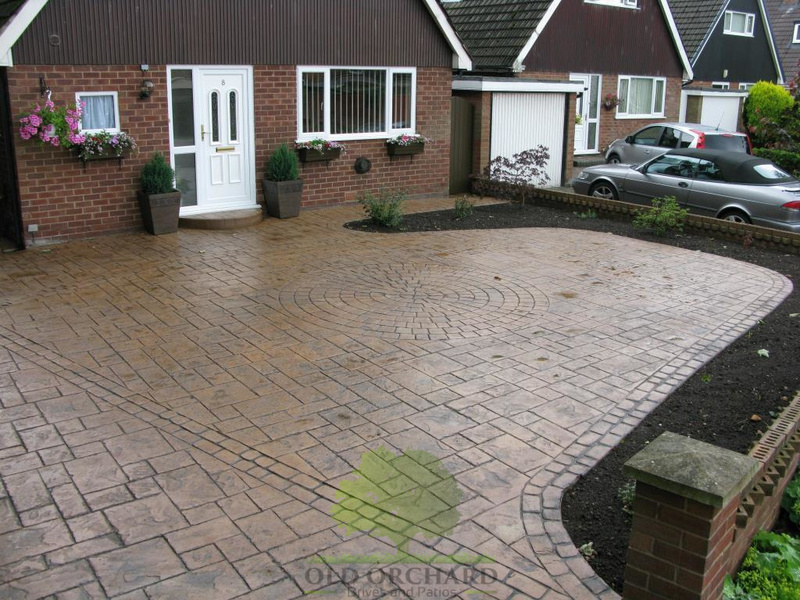 Call us today for a free visit, we will go through the various pattern finishes for your concrete driveway, the types of colours available and the overall top finish which can be either gloss or matt. We will provide a fully itemised quotation highlighting the installation, the cost and the estimated time frame for your concrete installation. 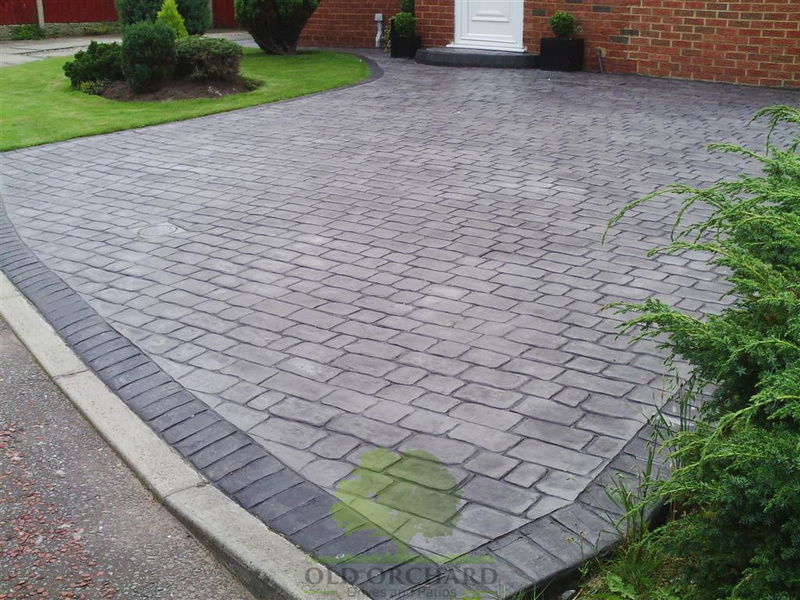 Concrete driveways are long lasting and provide great usage on any driveway or patio area. It is easy to maintain and can by styled to suit any home. 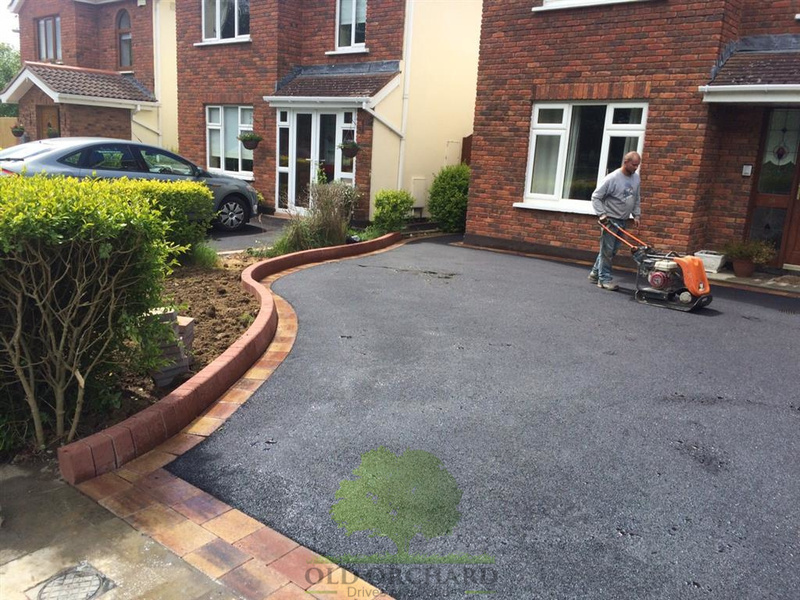 We can provide tours of previous imprint installations and our portfolio has many examples of successfully completed imprint driveways in Co. Kildare. Great value on imprinted concrete installations throughout Co. Kildare.